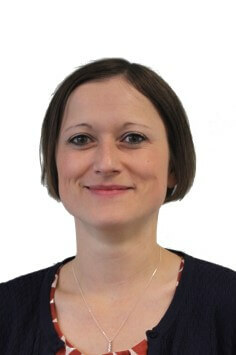 Jess is a Chartered Waste Manager with over 13 years’ experience in the environment sector. Jess leads on Ricardo Energy & Environment’s Circular Economy services. She has directed and managed a range of circular economy related projects, including researching circular economy sector opportunities; providing sustainable procurement support for public sector organisations; supporting businesses with the development of circular economy business models; reviewing asset sharing and re-use opportunities; minimising packaging waste in the food and drink sector; and delivering Love Food Hate Waste communication campaigns. Jess also leads Resource Efficient Scotland’s SME training and capacity building activity, and regularly delivers training workshops and webinars that help decision-makers realise the benefits of resource efficiency and circular economy business models. She has an excellent working knowledge of resource efficiency within the healthcare sector, over the last 10 years she has worked for over 50 NHS Trusts and Boards in Scotland, England and Wales.